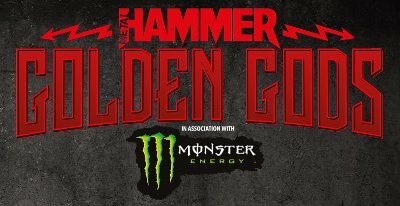 Metal Hammer magazine has announced that voting is now open for their 2018 Golden God Awards. The heavy metal awards are chosen by both the public and the editors of the magazine with eight categories being voted on at the Metal Hammer website. The winners will be announced on Monday, June 11 from the Indigo at the O2 in London. Jamey Jasta of Hatebreed will host, saying "They say the third time's a charm! I am beyond honored and excited to be hosting the Metal Hammer Golden God Awards this year! It’s always been an incredible event but when they told me this year’s Golden God there was no way in the world I could miss this. We’ll be honoring some incredible talent, great bands and the Greatest Golden God of them all! See you June 11th horns high!" Metal Hammer editor Merlin Alderslade said "This year’s nominees list shows you just how strong the metal scene is in 2018, and when you see some of the names we’re going to be putting on that stage on June 11, your jaw will drop. That’s a promise. See you down the front and horns up!" Veteran artists are most prominent in the Best Live category with nods for Lacuna Coil, Converge, Cannibal Corpse and Sólstafir. Also up are such stalwarts as Judas Priest, Cradle of Filth and Marilyn Manson.